Explore the special properties of a point that lies on the perpendicular bisector of a segment, and of a point that lies on an angle bisector. Manipulate the point, the segment, and the angle to see that these properties are always true. 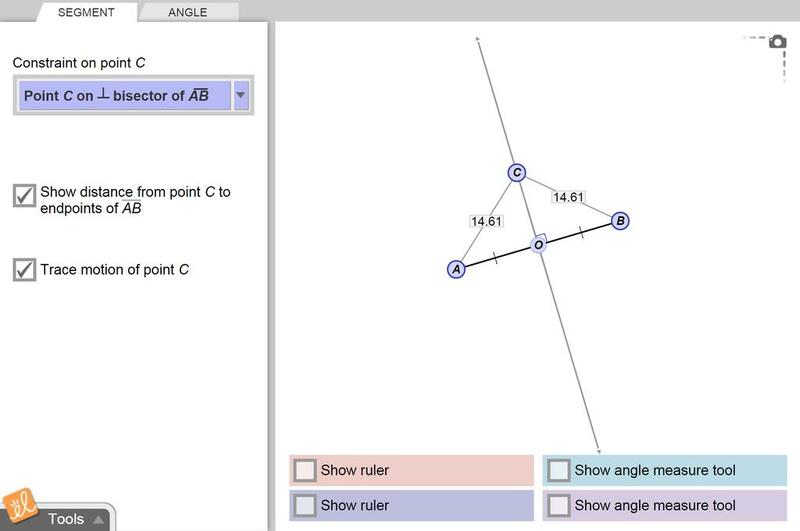 Gizmo exploration reformatted, where the students need to draw and label diagrams of the perpendicular bi... (more)sector and angle bisectors. There are two assessment questions at the end of the guide.